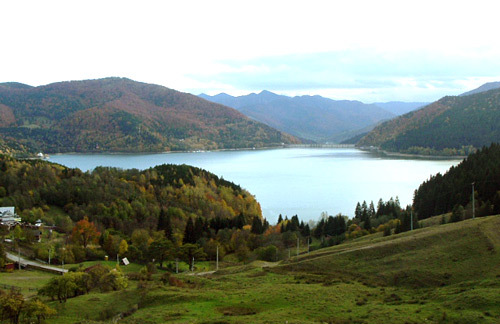 Neamt District is situated in the Eastern part of the country, in the vicinity of some pure and fast rivers (Bistrita, Siret, Moldova), being protected by the ridges of the Bistritei Mountains(1864 m) and Ceahlau Mountain Mass(1907 m). Lying almost 350 km from Bucharest, Neamt District represents an ideal vacation place for everyone, offering an atmosphere of calmness and complete relaxation. Tourism can also be accomplished here regardless of the time of the year. Massive of Ceahlau from District of Neamt. 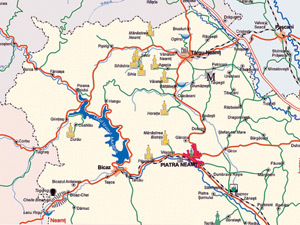 Neamt District is an ancient land, situated in the middle of Moldavia, where evident traces of Geta-Dacian settlements have been discovered (especially the Batca Doamnei and Cozia hills from Piatra Neamt city and Horodistea hill from Piatra Soimului village). 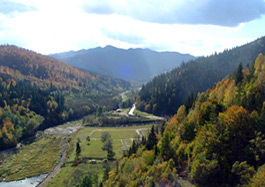 The land is mentioned under the name Neamt in a document signed by the ruler Alexandru cel Bun, in 1403. The history of these places reminds us of many voivods’ courage and glory. During Stefan the Great’s reign, this land reached prosperity. Many important Romanian cultural people lived in these places, such as the writers Alexandru Vlahuta, Mihail Sadoveanu, Calistrat Hogas who wrote many pages inspired from the people and the beauty of the environment. Here also lived the painters Nicolae Grigorescu, Nicolae Tonitza, Victor Brauner etc. Memorial houses and museums were built in the memory of these important personalities. There are valuable monuments that reveal the past, monuments which invite the ordinary visitor to take a break and admire them. These monuments are restored and kept with care. 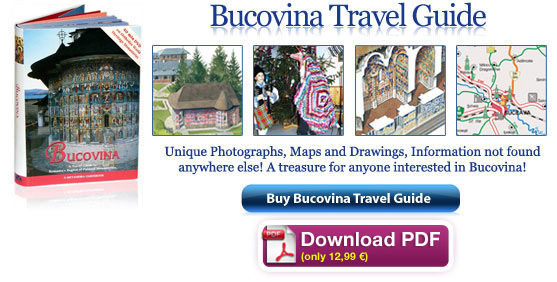 One may get to know here one of the newest mountain resort in the country Durau-Ceahlau and may pass through the most spectacular gorges in Romania –Bicaz Gorges. 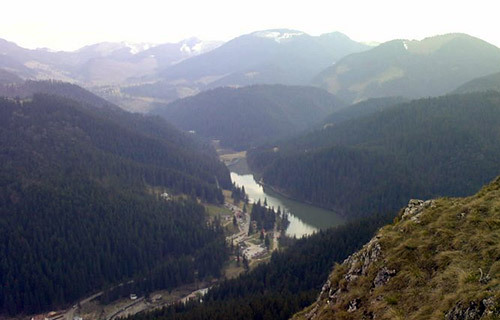 You can also climb up on Ceahlau Mountain where, according to legends, Zamolxes, the supreme Dacian god, used to live. 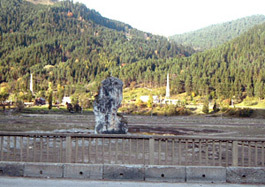 View from the Bicaz Dam. 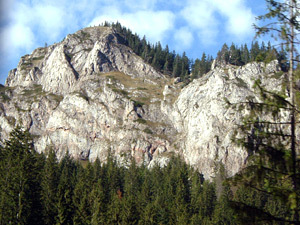 Poiana Teiului and Stanca Dracului (Devils’ Rock).